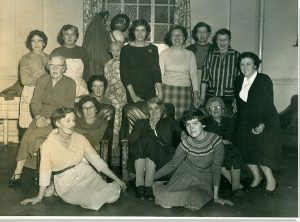 YMCA St Paul’s Group has been in existence in various forms in Kingston for just over 160 years since the Association was first established in 1858. However historian and YMCA Committee Member Audrey Giles discovered that the YMCA formed in Kingston in 1874 was not the first, but rather the third to be established in the area. In 2008 Audrey wrote It Started with Coffee in the Vestry, which covers the early years of YMCA in Kingston and Surbiton from 1858 to 1908. “During the YMCAs move from Eden Street in Kingston to Victoria Road in Surbiton in the 1970s about eight minute books and a considerable amount of paper work was thrown out as rubbish. This was rescued at the last minute and carefully stored. 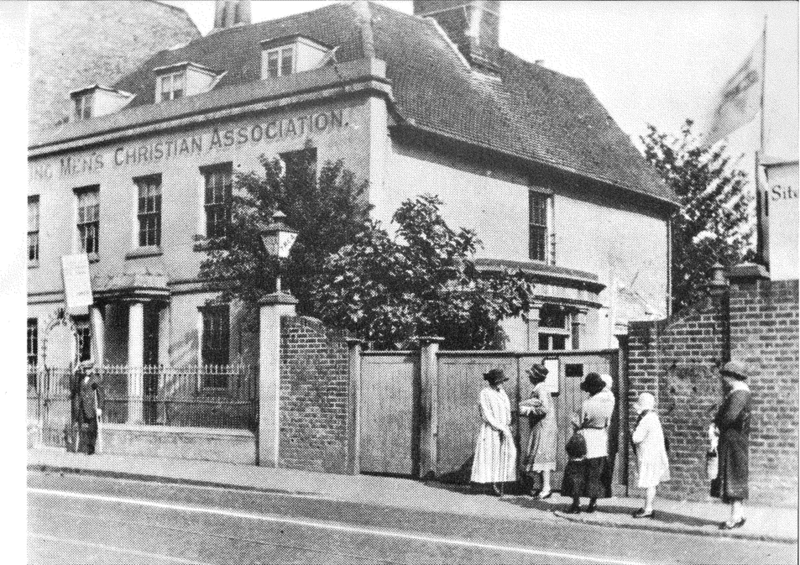 It was when Audrey started digging into the old YMCA minute books, the few remaining annual reports and early copies of the Surrey Comet (established four years prior to the YMCA in 1854), that Audrey made her surprising discovery about the early years of YMCA in Kingston and Surbiton. Audrey found that the 1858 Kingston YMCA started in March when Reverend Lawrence Byrnes of Kingston Congregational Church invited the young men in the local area to take coffee with him in his vestry and 40-50 young men arrived in response to this invitation. From then on, meetings were held every Wednesday evening and different topics were discussed. Audrey says: “On the first Wednesday of the month there was a Prayer Meeting, on the second, Bible Study, on the third, Conversation or Discussion and the fourth, a Lecture. At some of these meetings essays and papers were read on various subjects, and amicably discussed; at others brief addresses were delivered and adapted to meet the interests of young men”. “The 1858 YMCA supported the Early Closing Movement in their bid to reduce shop workers’ hours. Many young people worked more than 15 hours a day, living in the building where they worked, and rarely seeing daylight except on a Sunday. This involvement in trying to reduce work-place hours and better working conditions continued throughout the 19th century,” Audrey says. According to Audrey, another significant event in the early years of YMCA in Kingston was the visit from Signor Alessandro Gavazzi, Guiseppe Garibaldi’s Army Chaplain, who spoke at a YMCA meeting in Kingston. After the influential and important Rev. Byrnes left Kingston in 1869, YMCA in Kingston faltered. In 1872, a new Association was formed within Brick Lane Baptist Church. “Soon after the 1874 group formed classes in arithmetic, reading, writing, and shorthand together with the creation of an Association library, available in a room in the market place, free to all young men in business from 7-10pm every evening except Sunday”. 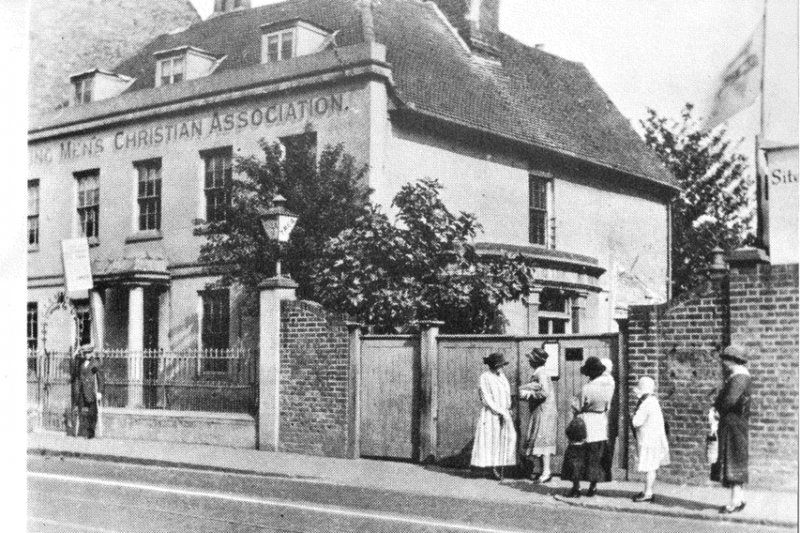 What became prominent when reading through the old minute books and the Surrey Comet’s archives, was how important YMCA was in Kingston and Surbiton society. “Throughout the 19th century Kingston YMCA (and later Kingston and Surbiton YMCA) appeared to be involved in many of the main events in the town. The book only charts the first 50 years of the Association within the Kingston area but during those years it is possible to see a growing awareness that adequate provision for the well-being of the young must include not only spiritual but mental, social and physical activities,” Audrey says. “There are of course many differences between YMCA then and now, but the Association today continues at it did in both 1858 and 1874 to supply the perceived needs of individuals within the community”. Audrey does not only have in-depth knowledge about the early years of the Association. She has also been involved with YMCA herself at various points in her life, and she has numerous interesting stories to tell; from the homeless man who always came to get his thermos filled with tea, to the time a Chinese delegation visited YMCA. “Although I cannot remember exactly the date I first went into the building it was probably before May 1946. During the week and on Saturdays the place was always full of hungry young men in uniform eating or waiting to be fed by a resolute number of ladies recruited from all walks of life. The YMCA, especially the Women’s Auxiliary, did incredible voluntary work during this period. As there was no hostel accommodation, to counteract the lack of overnight stay, several of the ladies would offer young men a bed for the night in their own homes and breakfast in the morning. It was Audrey’s neighbour, Mrs Alice Kendall, who brought her along to Eden Street at the age of 10. An important figure in the Women’s Auxiliary during the war, on 10 April 1946, Mrs Kendall was awarded the YMCA’s ‘Order of the Red Triangle’ at a ceremony in Guildhall in Kingston. One of Audrey’s early memories from YMC, was a very special visit taking place in May 1946. “I rejoined becoming part of the Women’s Auxiliary when I was about 19 in 1954. Unfortunately Mrs. Kendall’s asthma had become more severe and I do not think she was quite so active as she had been previously. I was working in a London bank and joined because I remembered what it was like when I was 10. Also, I was bored at weekends and thought this would be a complete change from my weekday job. Like Audrey, Peter came into contact with YMCA in his youth and developed a life-long relationship with the Association. 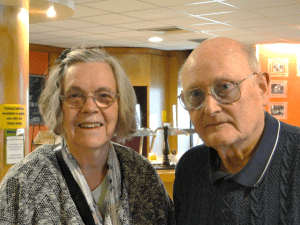 “Peter joined the YMCA as an Associate member when he was 16 in 1949”, Audrey explains. In 1995 Peter retired from work, joining the YMCA walking club and driving the second van on trips where they took the over-60s to their holiday destinations and collected them on their return.